New York Times and USA Today Bestselling Author Carrie Ann Ryan never thought she'd be a writer. Not really. No, she loved math and science and even went on to graduate school in chemistry. Yes, she read as a kid and devoured teen fiction and Harry Potter, but it wasn't until someone handed her a romance book in her late teens that she realized that there was something out there just for her. When another author suggested she use the voices in her head for good and not evil, The Redwood Pack and all her other stories were born. 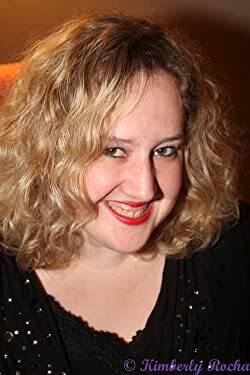 Carrie Ann is a bestselling author of over twenty novels and novellas and has so much more on her mind (and on her spreadsheets *grins*) that she isn't planning on giving up her dream anytime soon. Please enter your email address and click the Follow button to follow Carrie Ann Ryan! The first book in the Montgomery Ink: Boulder series. A new set of Montgomerys. A new city. That familiar Montgomery romance.